Written and Produced by Shawn Lee. 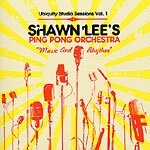 All instruments and vocals by Shawn Lee. Scratches on 24 by Siya.